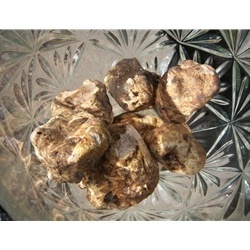 Approximately 1 ounce of italian white truffles (alba truffles) We can only ship Tuesday-Thursday. We MUST have a delivery date and a signature on Alba truffles! If you do not give us a delivery date, we will not ship without it. This is imperative. If you choose to ask for no signature required, you release us from refunding or replacing your order for any reason.